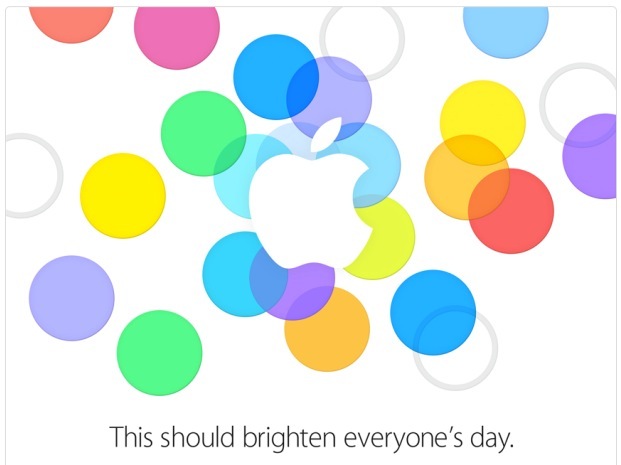 Apple has confirmed the rumors about Sept 10 being the day of their event, with an invite that hints that the rumors of the colorful cases of the iPhone 5C might just be right too. MacRumors has also reported that shipments of the new iPhone models has begun arriving in the US. While the iPhone 5C will mean huge growth in overseas markets to price sensitive markets, in addition to making a colorful splash in the US, it's not quite enough to achieve the excitement of a typical Apple iPhone announcement event. So I think we can still expect an iPhone 5S too and MacRumors report of photos of the home button part with a fingerprint sensor, continues to point to interesting advances in the iPhone.